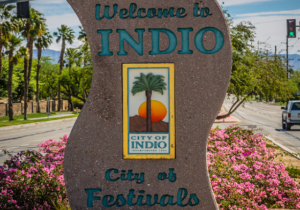 News from the City of La Quinta. La Quinta, CA: La Quinta Community Members and Businesses, we want your participation to help guide future development of the Highway 111 Corridor in La Quinta. A three-day charrette will be held on April 24, 25, and 26, to inspire a vision and share your ideas for the Highway 111 Corridor. We want your participation! A charrette is an intensive planning session where community members, stakeholders, and designers collaborate on a vision for development. It provides a forum for ideas and allows participants to give immediate feedback. A charrette serves as a way of quickly generating design solutions while integrating the interests of a diverse group of people. The word charrette is French for “cart” or “chariot”. The term was used in the 19th century at the Ecole des Beaux-Arts in Paris, where student architects worked right up until a deadline, and a charrette would be wheeled among them to collect up their models and drawings. Technological advancements have changed the way we live our daily lives and how we spend our time. On-line commerce provides the convenience of “one-tap” consumer spending, disrupting traditional retail shopping and the big box retail shopping model. The City of La Quinta is preparing a Highway 111 Corridor Area Plan to guide future development that creates vibrant and attractive places, enhances mobility, is enjoyable for residents and visitors, and sustains the Corridor’s economic viability.